Our Storytelling & Advocacy Coordinator, Jake Adler, recently had an opportunity to sit down with critically acclaimed author Veera Hiranandani. They discussed her newest novel, The Night Diary, South Asian history, the art of writing for children, the unique challenges kids around the world are facing today, and what it all has to do with LitWorld’s 7 Strengths. “Writing about Partition is something I wanted to do for a long time,” said Veera Hiranandani, author of one of the newest—and most original—middle-grade novels to hit store shelves, The Night Diary. The novel takes the form of a personal diary authored in 1947 by 12-year old Nisha, a young Indian girl whose nation, home, and worldview are split and transformed at the end Great Britain’s colonial reign and the first days of the India’s independence, an event known as Partition. “There aren’t a ton of books for young people about Partition. That's in part why I wanted to write one, to create a space in homes and classrooms to have discussions about it. It’s important to keep this history alive because of what it can teach—namely that we don't want to repeat it,” she said. Veera Hiranandani's The Night Diary hits shelves on March 6, 2018. India’s independence brought about the formation of a new nation, Pakistan, carved out of northwestern India as a new homeland for Indian Muslims, leaving the rest of India to Hindus, Sikhs, and other non-Muslim Indians. Hindus and other non-Muslims living in Pakistan and Muslims living in India prior to independence were pushed to migrate to their new, respective homes as a sovereign India and a newborn Pakistan established themselves on the world stage. Violence, chaos, and tragedy plagued the countless travelers as their paths crisscrossed over a border which appeared overnight. “When I was 11, I watched the movie Gandhi, which was pivotal for me. I always knew Partition was something that had happened to my family, but I hadn’t realized how huge the event was on a global scale, and I was shocked as I began to reflect on it,” said Hiranandani. Hiranandani’s protagonist, Nisha, faces a unique challenge to her identity: her father is Hindu, but her late mother was Muslim. Throughout the novel, Nisha questions what this heritage makes her. 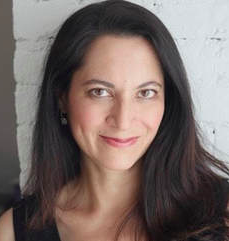 Her grappling with identity and place of belonging in a rapidly changing world is one Hiranandani can relate to, herself the daughter of a Hindu father and Jewish-American mother. Partition isn’t just South Asian history, it’s world history, and Hiranandani feels the subject and story has a lot to offer readers of all ages, regardless of their heritage. LitWorld's Executive Director Dorothy Lee (left) with Veera Hiranandani (center) and LitWorld's Founder, Pam Allyn (right). 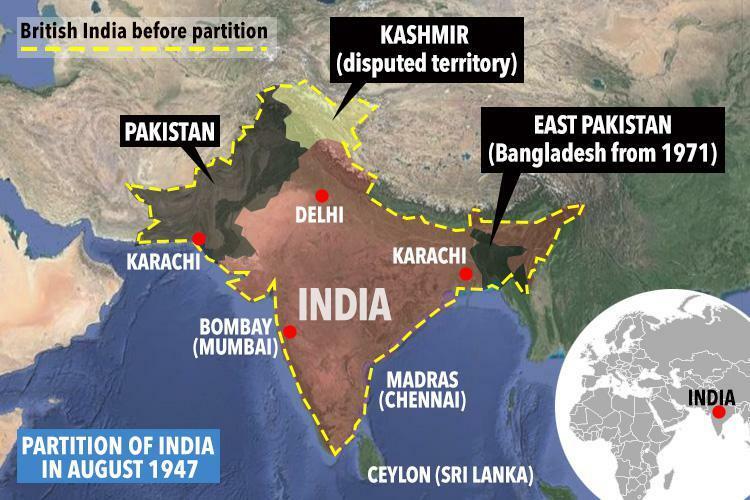 The scars Partition inflicted on South Asia are still sore and tender today, as the history is blanketed in stories of violence and cruelty inflicted by both Hindus and Muslims. Such themes are tricky to weave into a novel intended for a middle-grade audience, but Hiranandani feels striking a balance is as necessary as being forthright about true events with young readers, even if they can be difficult to understand and, in some cases, uncomfortable. Today’s children all over the world continue to face unique and ever-evolving challenges, and Hiranandani hopes Nisha’s journey and bravery can serve as an example and an inspiration for her audience. “When I first read about LitWorld’s 7 Strengths, I was checking off all of these aspects in Nisha’s journey. Not just one—all struck a chord,” Hiranandani explained. The history is rooted in the mid-20th century, but part of the urgency Hiranandani feels to deliver this story to modern audiences comes from how much the events of Partition resonate and ring true with today’s culture and society.